TIP of the Week - Adding Color to Embossed Layers!!! This week I have some tips on adding color to dry embossed layers. I'm featuring a fabulous embossing folder. It's called the Tin Tile Dynamic Textured Impressions Embossing Folder and its new in the Stampin' Up! 2018 Holiday Catalog. 1. Use sponge to dab color on embossed piece. 2. Use Sponge Brayer to lightly add ink to embossed piece. 3. 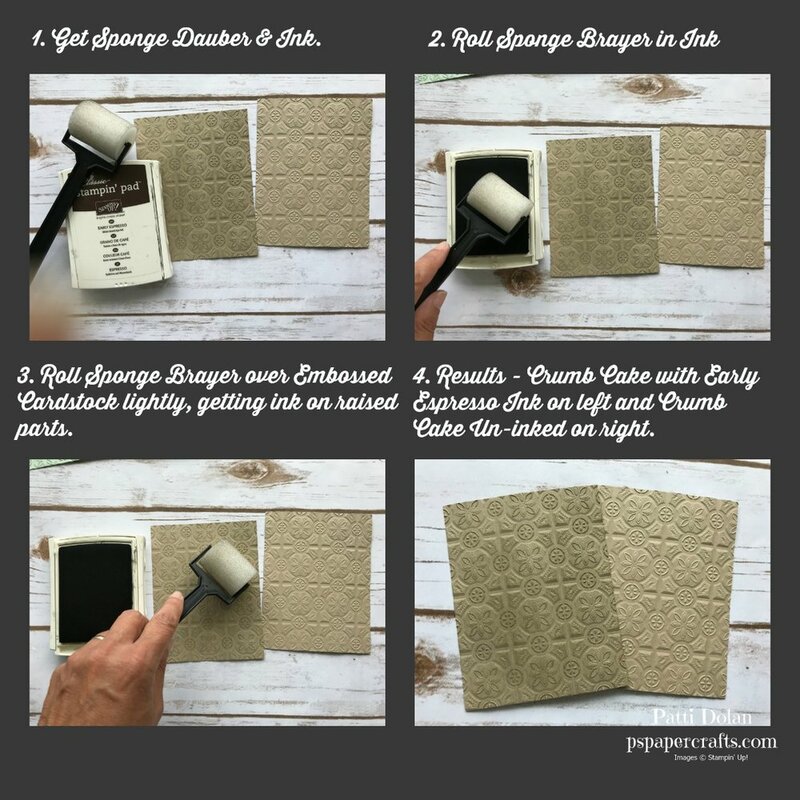 Use Sponge Dauber to add color to embossing folder and then emboss your cardstock. Watch my video tomorrow where I will describe these techniques in more detail. Newer PostGetting Ready for Autumn! Older PostProduct of the Week!! !